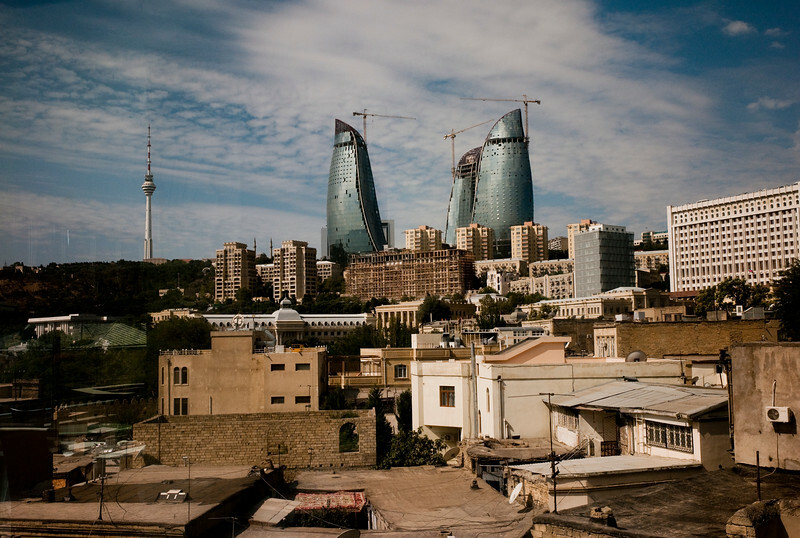 Baku's iconic "Flame Towers" emerging in the background, while the smaller houses in the foreground are set for demolition. Since the flow of money has poured into Baku thanks to the Baku Tbilisi Ceyhan (BTC) oil pipeline, the Azeri capital has gone through intensive redevelopment. However human rights organisations criticise the way in which inhabitants of old Baku have been forcefully evicted from homes earmarked for demolition with inadequate compensation.